The Mississippi Coastal Cleanup Program (MSCCP) is calling all volunteers to action. Once a month, the MSCCP will host a beach cleanup at various locations across the coastal counties (Hancock, Harrison and Jackson Counties). Below are the details for the 2019 Monthly Beach Cleanups. All Monthly Cleanups will begin at 8 AM and end at 9 AM. 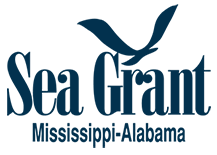 The Mississippi Coastal Cleanup Program provides all the supplies necessary for the beach cleanup (gloves, trash bags, etc). BYO: Sun protection (hat, sunscreen, sunglasses), closed toed shoes, and a refillable water bottle. A member at of the Mississippi Coastal Cleanup Team will be at the location ready to get volunteers signed in and supplied up!